Our Customer Services team are always available by phone or email to answer any questions. You can also call on them to check the status of an order – there’s nothing they can’t help you with! Customer satisfaction is the crucial part of our business and someone will always take ownership of your enquiry. We will never keep you waiting unnecessarily and aim to solve all queries as quickly as possible. Why don't you give us a call, we know you’ll be impressed! Let Chris show you how we get your orders out on time, every time. We provide a complete end-to-end solution for your e-liquid requirements – a variety of strengths and an impressive palette of flavours. 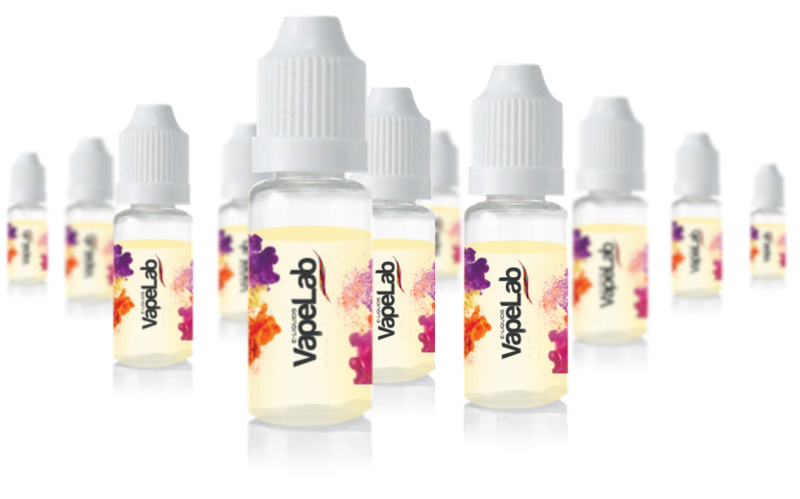 We can customise the labels in-line with your own brand or supply Vapelab branded liquid as you see below. Our Graphic Design Team don’t just create beautiful labels, they work closely with the regulatory and advisory bodies to ensure you receive a product which is legally compliant and displays all the latest warning information. Our existing Vapelab customers will testify to the cost saving and peace of mind this brings them. Let us sweat about the details so you can get on with building your business!